Ever have that get-out-of-dodge feeling in the cold and snowy winter? Well, if you're looking for an escape into the warm, rich colors of the Southwest, feast your eyes on the visual treat that is Southwest Modern by Kristi Schroeder. Be warned, the photography and clean graphic design of the quilts in this book are stunning. You'll either be hopping on the first plane to the American desert or raiding your stash for solids that reflect the earthy tones of those warm days and cool nights. We all know the recommendations about sewing machine needles. But how many of you have branched beyond the Universal? Most of the time, when I've come across an article on needles, it goes in one ear and out the other. Until one day, you actually need this information. And for me, that day came this past month. I was having trouble with puckering that I'd never experienced before. I'll admit it - I've sewn for years.... years.... and never really swayed from plowing through everything with a Universal. Well, except for those "special" projects like hemming jeans with a denim needle. Get the point. The point of the needle varies from a rounded ball to a sharp point. More rounded needles are used for knits. Sharp needles are specifically designed for woven fabrics. Universal needles fall somewhere in the middle of the ball and sharps. They are often good enough to do the job and work with both knits and woven fabrics - why they are named universal. Their slight rounded point makes them best for casual sewists who vary the types of fabrics they sew. Quilting needles. These needles have a tapered shape designed to stitch through may layers and across intersecting seams. 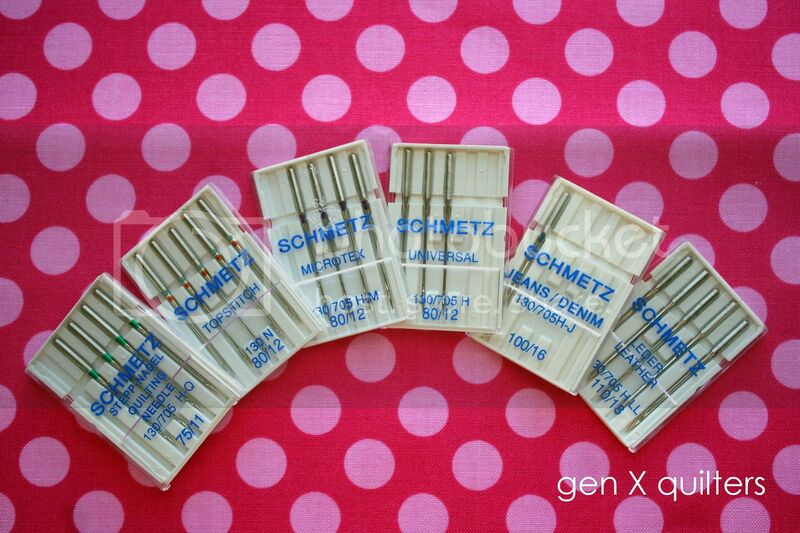 Schmetz recommends using their quilting needles for both piecing and quilting. The finer 75 size is specified for piecing with 50 wt. threads and the 90 size is for quilting with 40 wt threads. Needle Type should be selected based on the type of fabric (knit, voile, linen, cotton, denim, leather) you are sewing with unless you are adding special embellishments. Check your users' manual on your sewing machine for needle type/needle size suggestions based on your machine. Schmetz has a good resource on their site to understand the details behind it all - Schmetz Needle Primer. If you are adding special embellishments to a piece, there are also special needle types to accommodate those specialty threads (i.e. topstitching, metallic, embroidery). Needle sizing. Typically defined by two numbers. The first number is the European size (in millimeters x 100) and the second is the American size. The lower the number, the finer the needle and the smaller the eye. Often each needle type is offered in several sizes. Selecting your needle size should be done in conjunction with the type of thread you plan to use. Aurifil recommends using 50 wt thread and mictrotex 80/12 needles. Gutxrmann recommends using Sew-All thread and Universal 70-90 needles. You want to select a needle based on your fabric type with the smallest diameter - to produce the smallest hole - that still accommodates your thread thickness. I am by no means an expert on this - I simply wanted to share my findings as related to quilting in doing my own research. 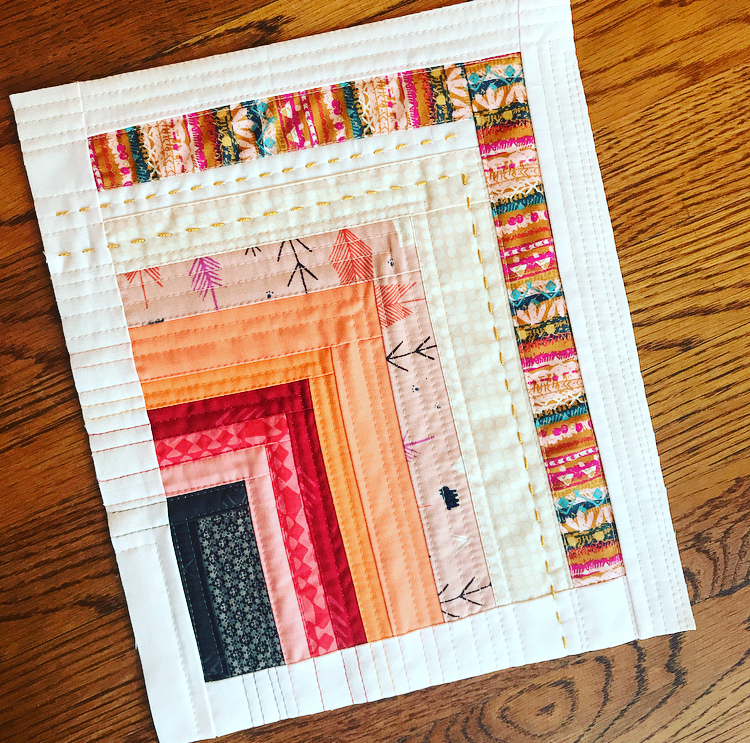 What kind of needles do you use for piecing? For quilting? Next: A Pincushion tutorial for keeping track of all these slightly used needles. I am happy to be participating in Purse Palooza this year with a special purse sewing pattern review! 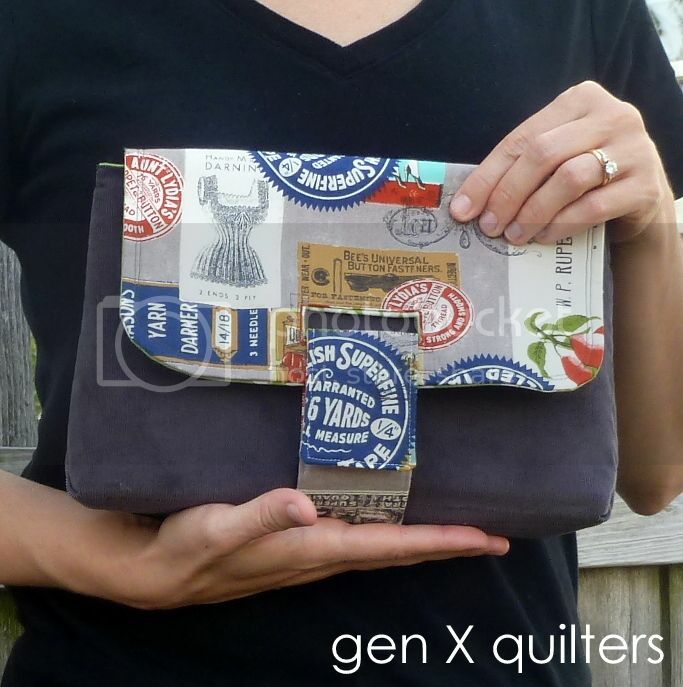 Hop over to Sara's to see my review of the Strap Clutch by Michelle Patterns. This a super cute clutch for fall. I am especially happy with the grey corduroy!